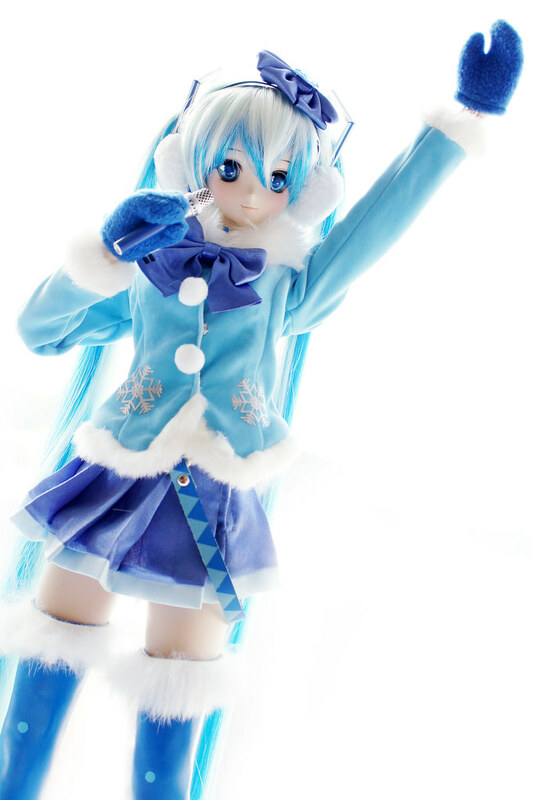 I bought My 06-chan Miku in Snow Miku 2012 style to Dollism Plus 7 last weekend. 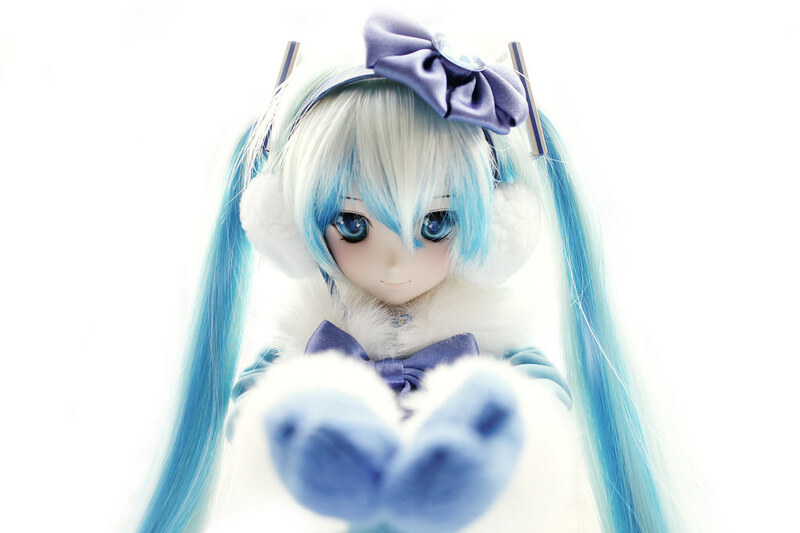 Thanks for those who take pictures of my Miku. 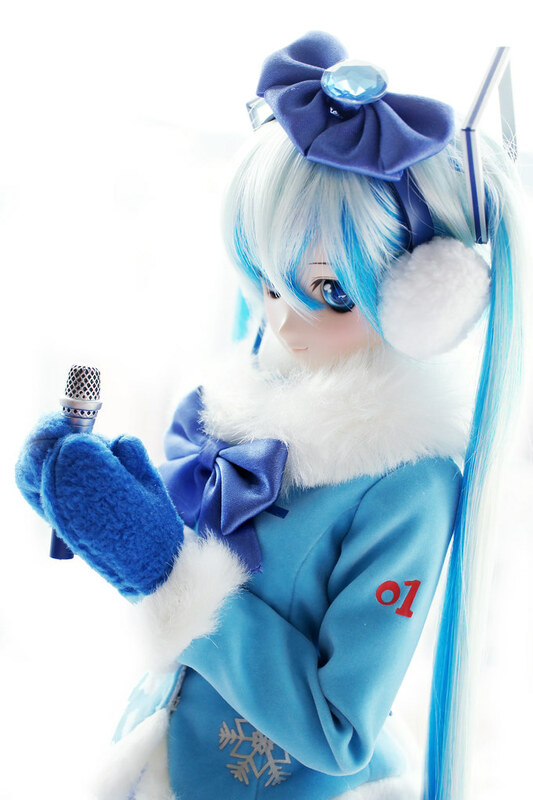 Its my pleasure that you like her. 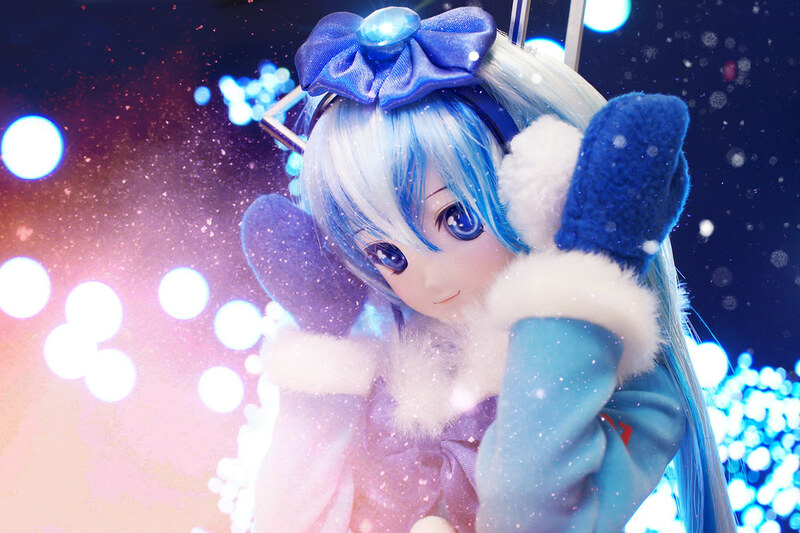 I am now introducing her new style here. 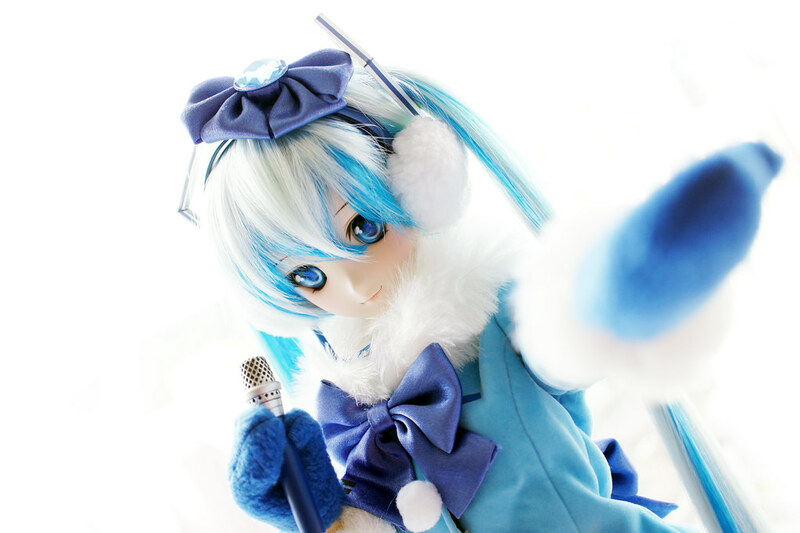 Snow Miku 2012 was a winning design of the competition on “piapro” platform (and the designer is Nanaka). 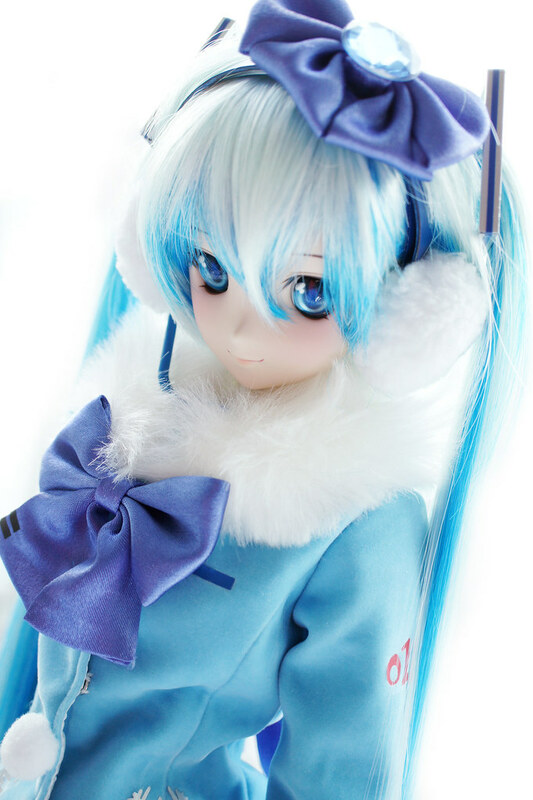 Snow Miku 2012 featuring an elegant coat and jewelry hair ribbon, while keeping Miku’s trademark features: short skirt, belt and twin tail. 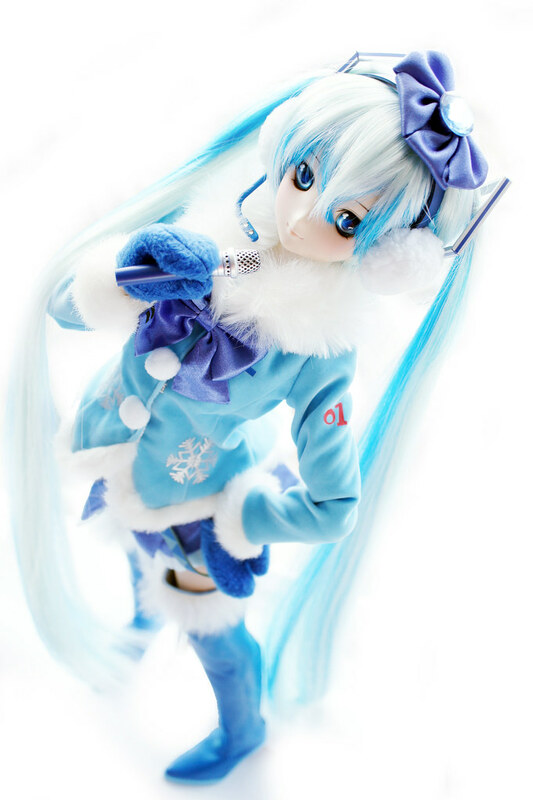 Dealer Cherry Milk released this Snow Miku 2012 outfit at Volks’s Dolpa 27, and I try to grab it hardly in yahoo auction. 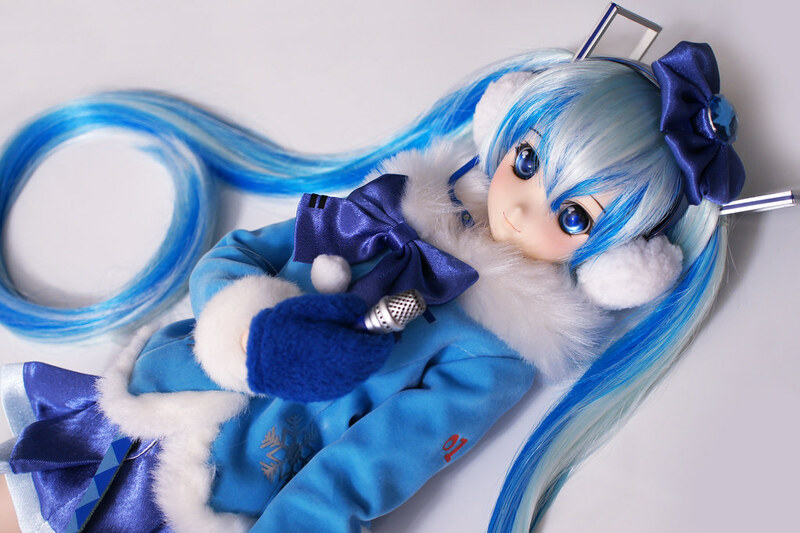 Cherry Miku’s outfit have been using a nice piece of cloth and reproduce the coat and skirt perfectly. 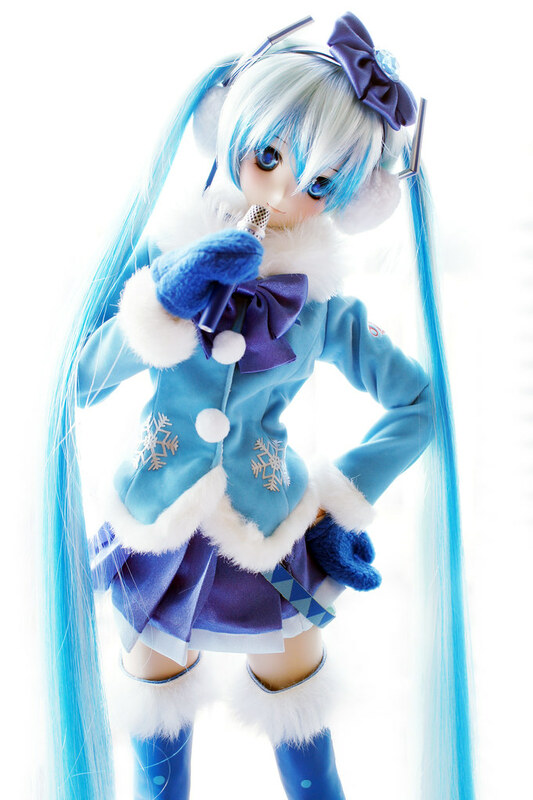 However…the limitation of this dress-set was the lack of wig, boot and knee socks.. I have been using much time to search for suitable parts. 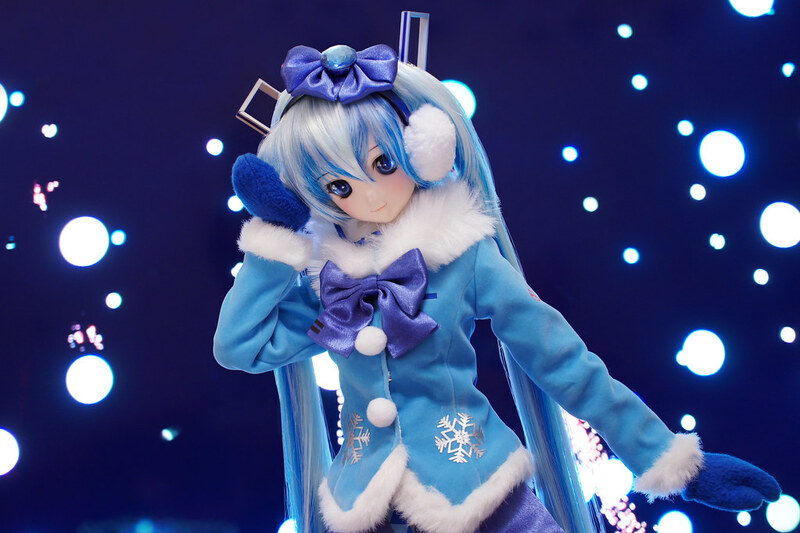 Its quite difficult to collect those “parts” of the dress set, especially for the boot. 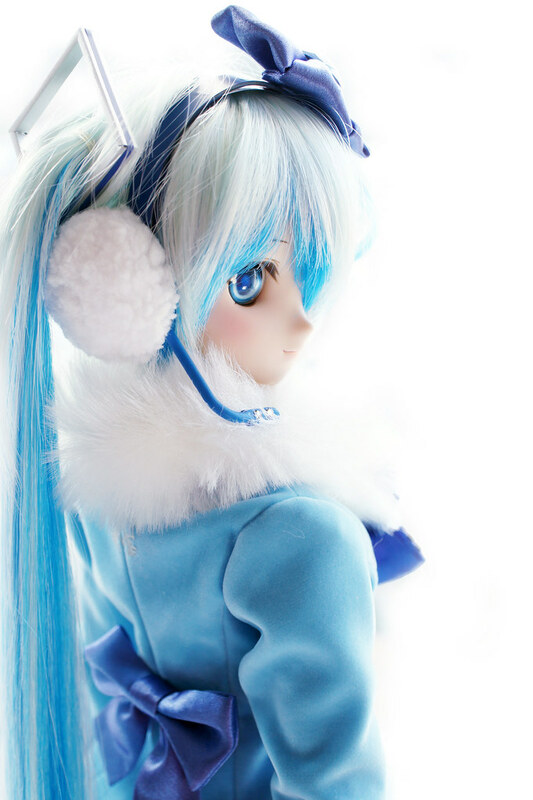 I am glad that I could finish and bring her to HKDP7. Does she looked okay? Well..its summer, and its July. I do hope that it had been ready in last winter. Thanks for reading! I have read through again and found so many mistakes esp on the Japanese part, hence I made some amendments. Hopefully I will have time to improve my Japanese. 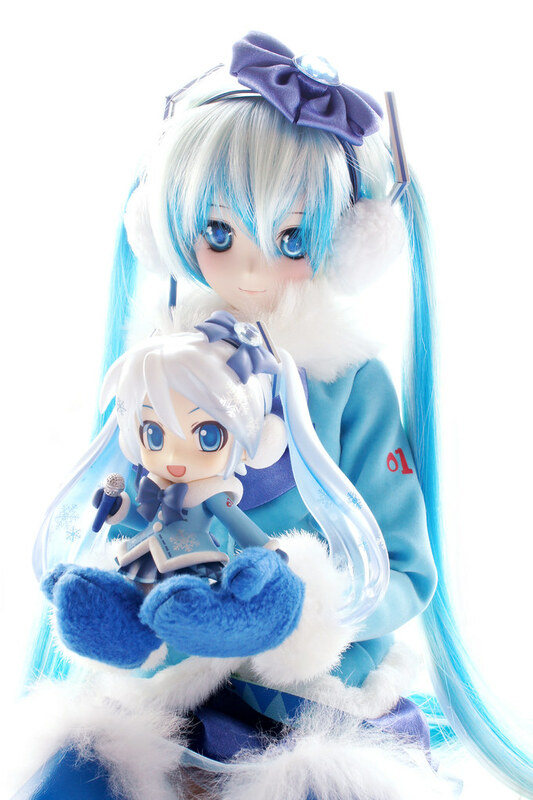 Snow Miku 2012 looks really lovely! Even though she may look out of place in the midst of summer, her warm smile sure melts the hearts of her fans! 素材ツアー is also a good way to learn those stuff in a particularly category that I have zero knowledge. This time I searched for fur parts in Sham Shui Po “cloth market” where I never been there, and I tried different coloring methods on artificial leather for the boots, etc etc. Its a good experience indeed.